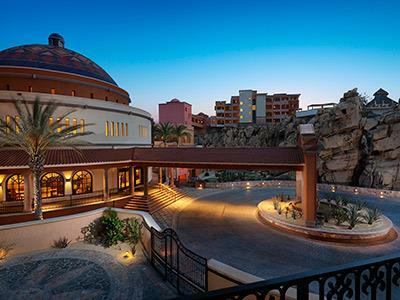 With architecture inspired by a traditional Mexican hacienda, this hotel combines beautiful landscapes with the impressive ocean of Los Cabos. 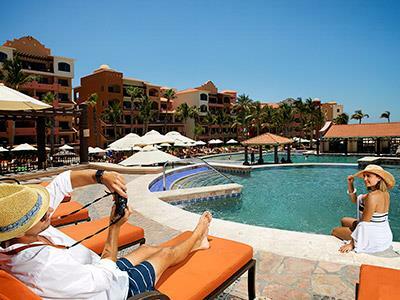 At the Playa Grande Resort and Grand Spa, you'll experience a vacation filled with complete tranquility so you can leave all worries behind. 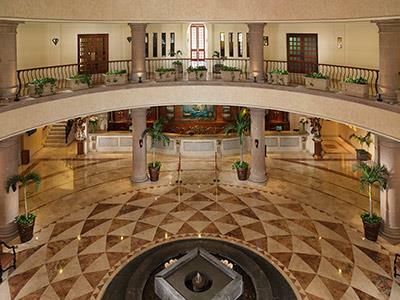 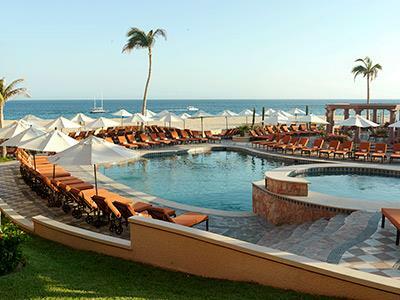 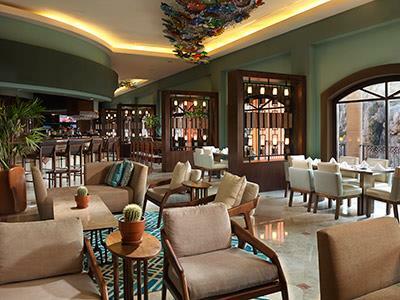 The resort grounds feature Mexican charm that can easily be seen throughout the fine luxury details of the guestrooms. 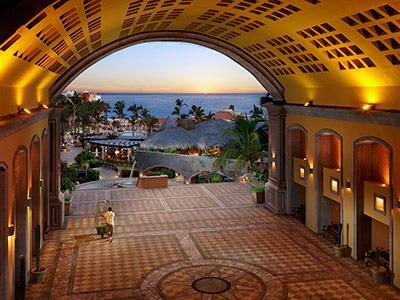 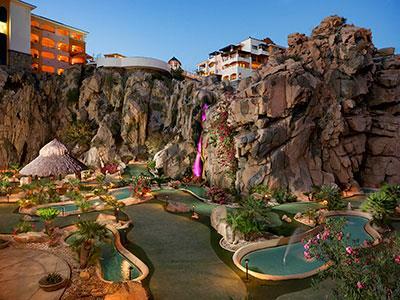 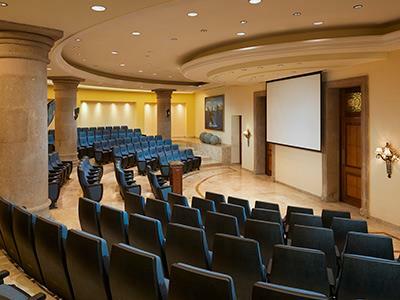 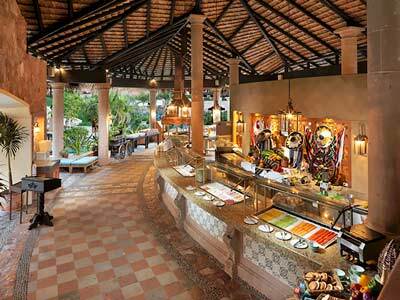 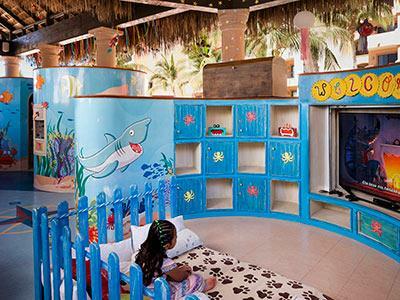 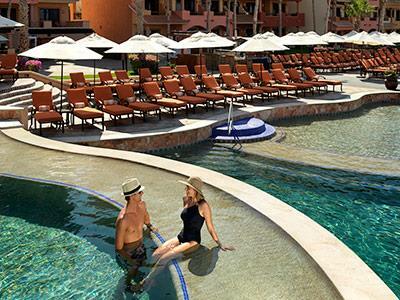 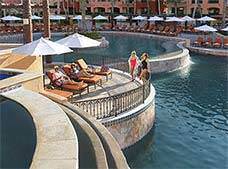 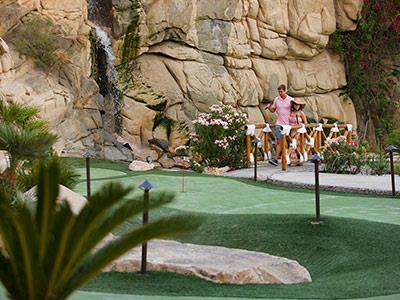 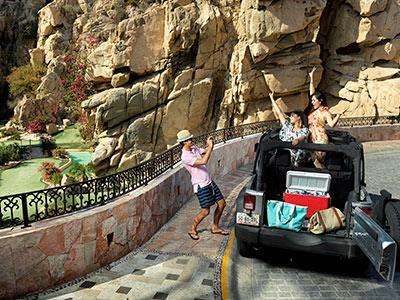 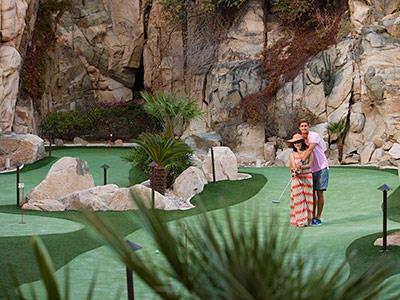 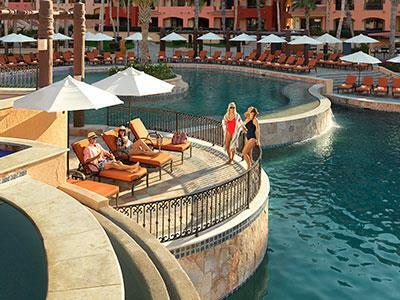 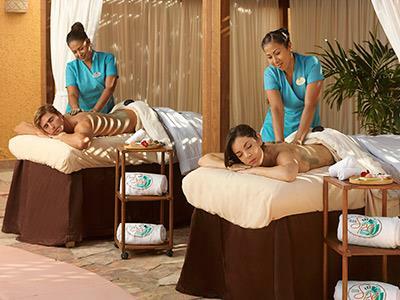 At the Playa Grande Resort and Grand Spa, you'll find a wide variety of activities for travelers of all ages. 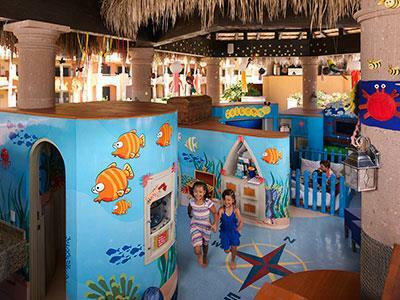 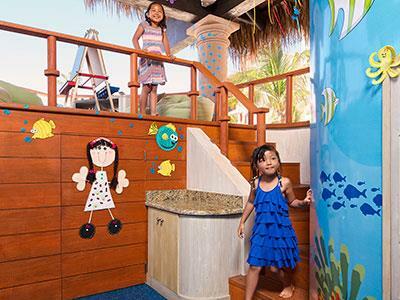 Kids will love the Kids' Club, while adults can have a blast at the lounge, the pool and the adults only swim-up bar. 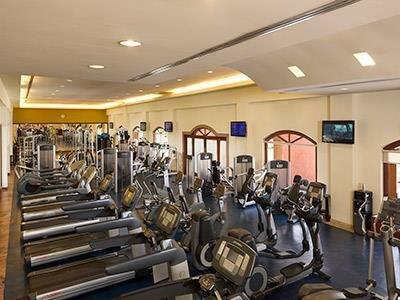 Relax in the cafe after a tennis match or a workout at the gym, or get some work done with the Wi-Fi access in the business center. 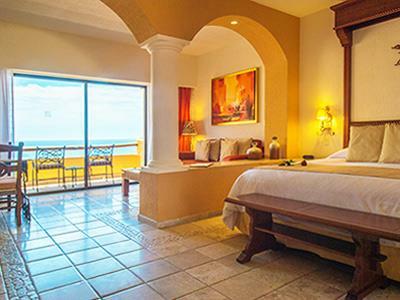 These guestrooms have luxury in every design detail. 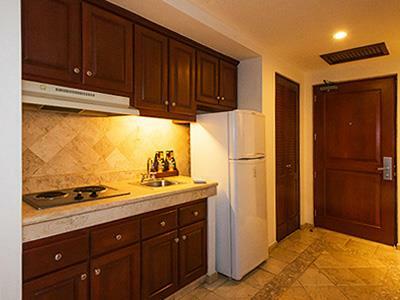 Created to offer guests a relaxing stay, each has a fully-equipped kitchenette along with exclusive amenities. 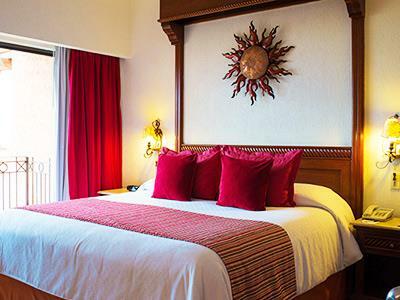 These guestrooms offer you a luxury stay, featuring a spacious bedroom, two bathrooms with lovely details, a living area and a well-equipped kitchenette where you can prepare your favorite meals. 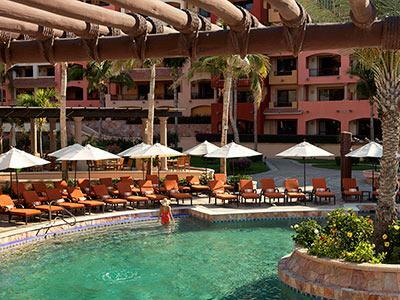 Relax with beautiful views throughout your stay in these suites.